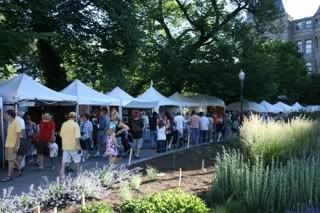 If the mass of people attending the 34th annual Utah Arts Festival is any indication, it is quite clear that Salt Lake City is populated with people who love the arts. 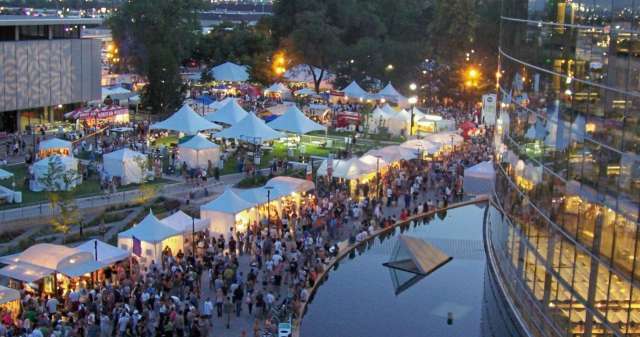 A four day festival, complete with more than 130 visual artists and more than 100 performing arts groups, it&apos;s no wonder that 80,000 people attend the Utah Arts Festival each year. 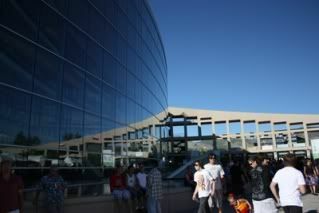 The festival is held in and between Library Square and Washington Square at 200 East 400 South in downtown Salt Lake. A city block is sectioned off to make space for the masses of artists and art lovers. The library provides a beautiful backdrop. The best thing about the festival? Color! Everywhere you look, your eyes take in beautiful arrangements of color- it is an arts festival, after all. 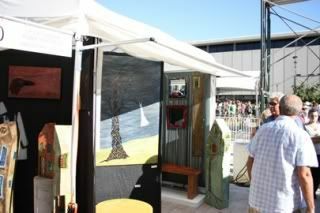 Every artist&apos;s booth is incredibly enticing. It&apos;s hard to walk past any of them without coveting at least one piece of art. As if the beautiful art as far as the eye can see isn&apos;t enough, the entertainment is amazing. My 2 year old daughter actually cried when I dragged her away from a dance performance. Luckily, there were enough beautiful things around to distract her back to happiness. Did you miss the festival this year? 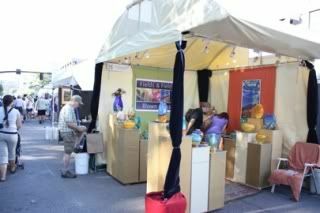 Check out the Utah Arts Festival Marketplace online for a sampling. And put it in your calendar for next June! You don&apos;t want to miss it! And don&apos;t despair. Beautiful Washington Square is home to many a festival throughout the summer. Try out this year&apos;s International Jazz Festival, July 9 to 11th. Three days of fabulous jazz under the leafy trees, surrounded by beautiful historic and modern architecture. Need I say more? Follow along on Rebecca&apos;s journeys at her blog, www.thrilledbythethought.com.